Believers in the West are understanding more about Christians struggling in other parts of the world. However, many of the accounts of the persecuted church are missing an important part of the story--the women. In this stirring book, Anneke Companjen sheds light on the lives of eleven women suffering persecution in nine different countries around the world. Through their true stories of imprisonment, full of loss and pain, and unexpected joy, these women inspire Western readers to persevere and endure their own hardships for the cause of Christ. At the end of each chapter there are questions for deeper study, whether for individual use or as a guide for small groups seeking to understand and pray for our persecuted sisters. 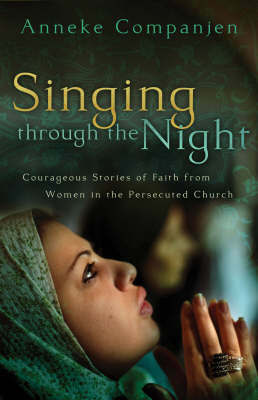 Readers will be deeply moved by the strength and faith of these courageous women.